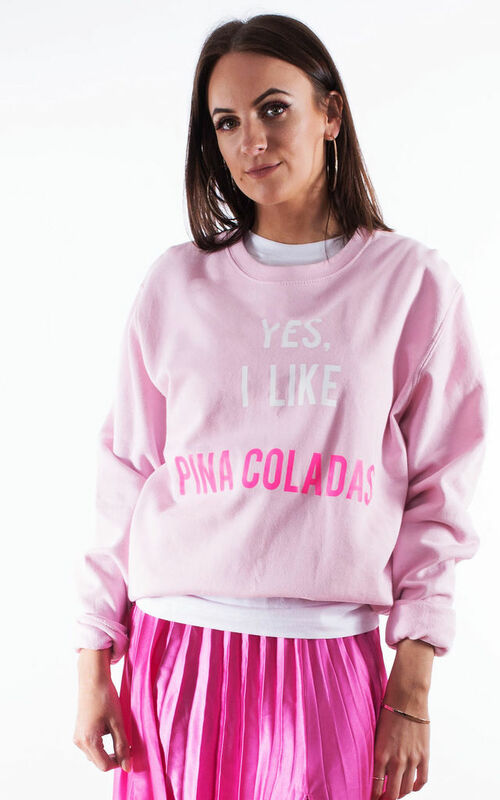 Yes I Like Pina Coladas... 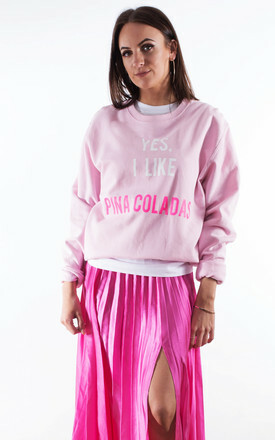 This colourful sweater will definitely get you into the summer party mood! Song lyric slogan sweater with neon text.
' Yes I Like Pina Coladas' . Made From 80% Cotton 20% Polyester. Brushed Fleece Lining.